A former NHL player, a team captain no less, once coached his son in competitive hockey. It wasn’t unusual for the coach to berate officials or stand in the bench doorway and wave them over. You can imagine how intimidating it must have been for teenage referees to deal with Mr. Ex-NHL Guy. Then there’s the story told by a friend who coached a game against a pair of former NHL lads, both well known. They did some name-calling to my friend from their bench and generally behaved like louts. Another fellow who played very briefly in the league was an assistant on his kid’s house league team. He did more shouting than was useful and was overly pushy. The head coach never said a word. After all, who was he to tell off a chap who was a pro? Do former NHLers get away with more when coaching minor hockey? Is more expected of them? Are they truly “giving back to the game” when they coach only their own children then leave coaching once the kids are out of it? Let’s first put this in perspective. No one but someone who has played in that league can possibly know what it took to get there, let alone come close and have “a cup of coffee” in pro hockey. How that prepares them to deal with minor hockey situations, players, and parents is quite another matter. There is a vast number of portable skills an ex-NHL player brings to the minor hockey experience. But nearly all are at such an elite level that there exists a chasm between what the former pro went through himself and how to make any of it applicable to today’s minor hockey players, even if they, too, are elite. What makes the scenario more difficult is that their playing résumé automatically flings open coaching doors everyone else needs to push through. It’s hard to say if more is expected but certainly, from what I’ve seen, they’re given a great deal more leeway in how they handle teams. 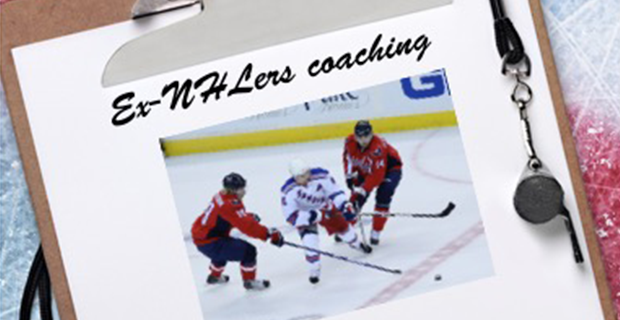 Given these two elements alone, ex-NHL players owe it to the game to live up to their billing, justified or not, and provide a “professional” level of coaching and comportment. What they say and do matter. Their influence can be immense and I wonder if they realize it. They possess what I call “The Wow Factor.” However, even that can wear off quickly if their approach isn’t what it should be. Why? Because more is expected. If they’re going to “give back to the game,” it ought to always be the right way.